The tale is particularly intriguing since the husband separated from his wife immediately when he discovered she was having an affair. Wife, days later, filed a petition for divorce alleging fault grounds and irreconcilable differences against her husband. 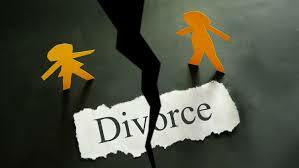 Husband then cross-petitioned for divorce, and alleged his wife’s adultery and irreconcilable differences. Relevant here, the trial court dismissed the adultery claim against the wife, and agreed with her that husband was not an “innocent spouse” because of his own adultery (11 months after the petition for divorce was filed). The trial court granted a divorce based upon irreconcilable differences and essentially divided the marital estate equally between the parties. The appeal followed. Husband argued that he was entitled to a finding of fault and a disproportionate division of property in his favor due to his wife’s adultery. He claimed that his new relationship, which started 11 months after the parties’ separation and after a petition for divorce had been filed, should not be considered. But, the New Hampshire Supreme Court found otherwise. In a unanimous decision, the Court construed RSA 458:7, which provides that a “divorce from the bonds of matrimony shall be decreed in favor of the innocent party”, to require that the husband had to be innocent at the time the decree of divorce was issued – not only at the time of the original filing of the petition for divorce. The Ross case presents unhappy news for some people who want to start dating before their divorce is finalized. Certain divorces can take time to resolve, especially cases that involve complex financial assets or difficult parenting issues. Some can take years because of the size of the marital estate or the degree of conflict between parties. But even in the many cases that resolve “quickly,” it often takes months to conclude a divorce. Understandably, many people don’t want to put their lives on hold and want to start dating right away. If you are considering Our New Hampshire attorneys can advise you about your legal options and help you understand the best course of action so you can start your new life after divorce. For a free and confidential telephone consultation, call us today at (603) 624-3700.